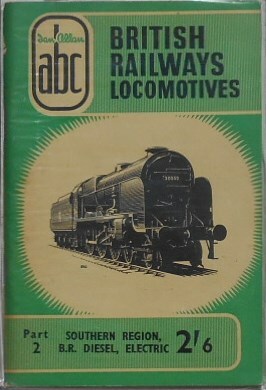 Lot 177C Ian Allan ABC British Railways Southern Region Steam Locomotive stock book Part 2, including BR. Diesel, Electric Locos price shown as 2 shillings and six pence from April 1957. Immaculate condition - no underlining.